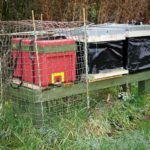 Tom Seeley (of Honeybee Democracy fame) published an interesting paper in the journal PLoS One recently on “How honey bee colonies survive in the wild: testing the importance of small nests and swarming” – the paper is available as a PDF following this link (Loftus et al., 2016 PLoS One 11:e0150362). 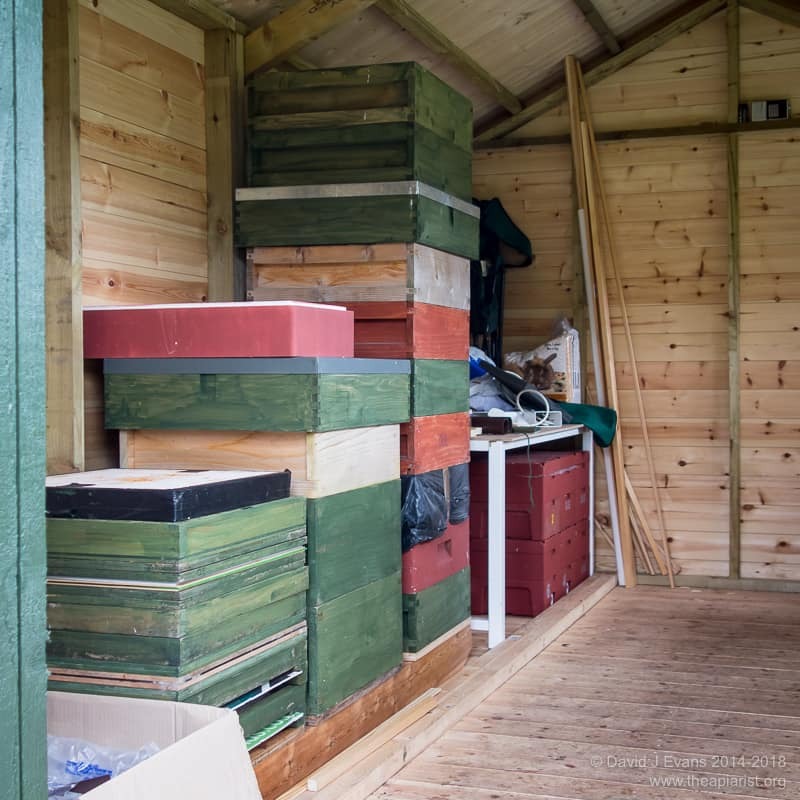 He tested this by establishing adjacent apiaries (so they have the same microclimate) with either small (~40 litres … about the same as a National brood box) or large (~170 litre) volume hives and installing nucs in each which contained similar levels of brood, bees and Varroa. No Varroa control was performed. 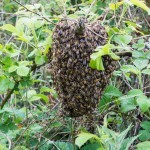 Those in the small hives were not managed to prevent swarming whereas those in the large hives were – with the caveat that the colony was kept together (i.e. 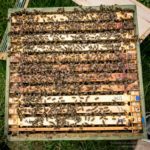 queen cells were destroyed, brood frames were spread and ample supers were added). 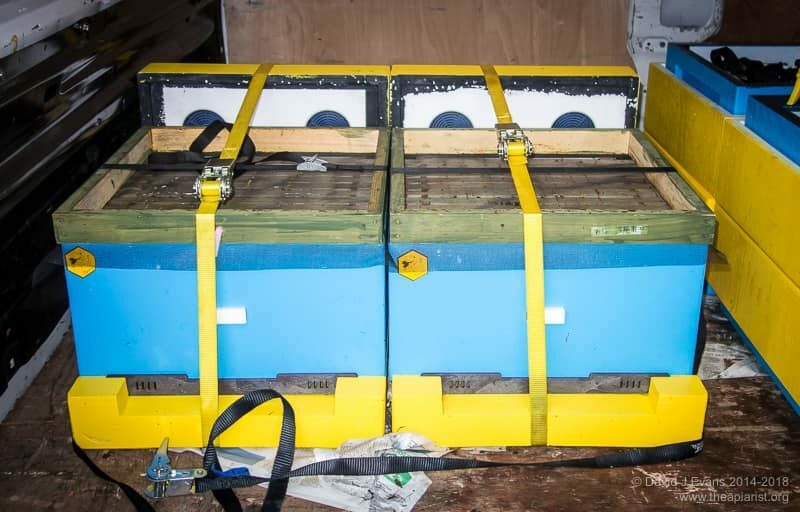 The study lasted two years, with regular monitoring of the colony strength, Varroa infestation level etc. To cut a long (but nevertheless interesting and worth reading) story short … the results support the original hypothesis. During the first year of the study the colonies developed in a broadly similar manner from transfer of the nuc to the large or small hive in June until the season’s end. However, by the following May the large hived colonies were almost twice as populous as those in the small boxes. This continued until August, with the average adult bee population in the small and large hives being ~10,000 and ~30,000 respectively. During this second season 10/12 small hives swarmed, whereas only 2/12 of the large hived colonies swarmed. In the latter mite levels dramatically increased to >6/100 adult bees (i.e. 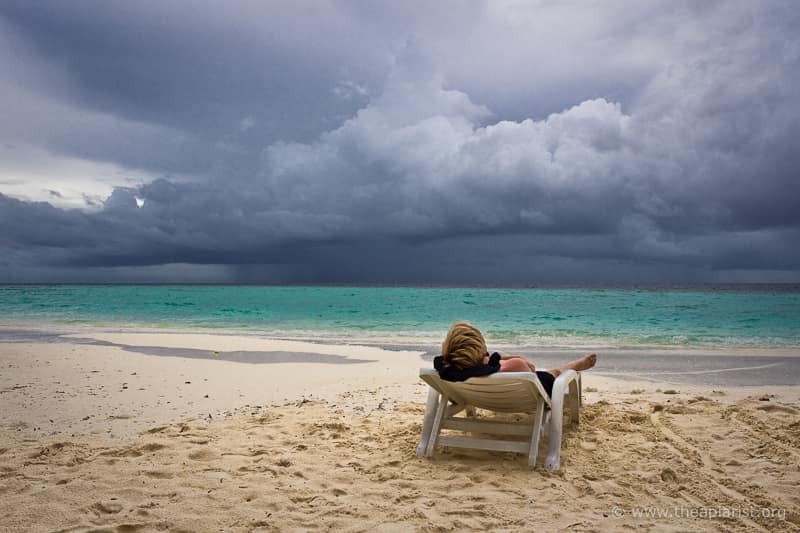 riddled with the little b’stards – my opinion, Seeley is too polite to comment). For comparison, the picture above has ~100 bees in it, with one visible Varroa, but has lots of overt deformed wing virus disease. In contrast, the small hived colonies – with the exception on one sampling point discussed later – had three to five times fewer mites than seen in the large hived colonies. 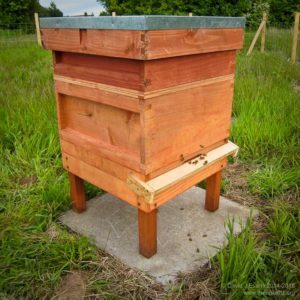 By the second winter 10/12 large hived colonies had perished whereas only 4/12 small hived colonies had succumbed, and one of these was to a drone laying queen, not disease. 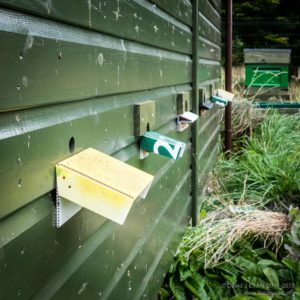 Perhaps most tellingly, 7/12 large hived colonies had signs of overt deformed wing virus (DWV) disease – pathetic, tottering newly emerged workers with stunted abdomens and shrivelled wings – whereas none of those in small hives showed obvious disease. Great … Varroa-tolerant colonies … where can I get some? So, what does this mean in terms of practical beekeeping? 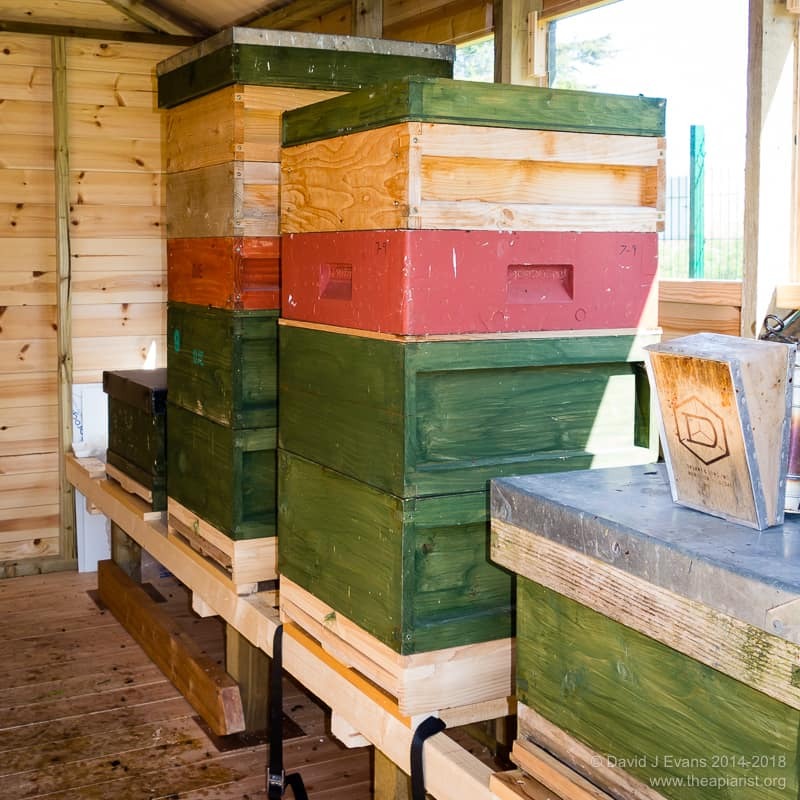 Firstly, it suggests that it is possible to keep honey bee colonies without treatment or intervention. 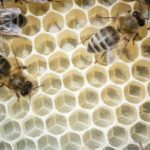 But – and it’s a biggy – the colonies will be too small to collect meaningful amounts of honey and will spend their time and energy swarming instead. 10,000 adult bees does not a colony make, as Aristotle didn’t say. 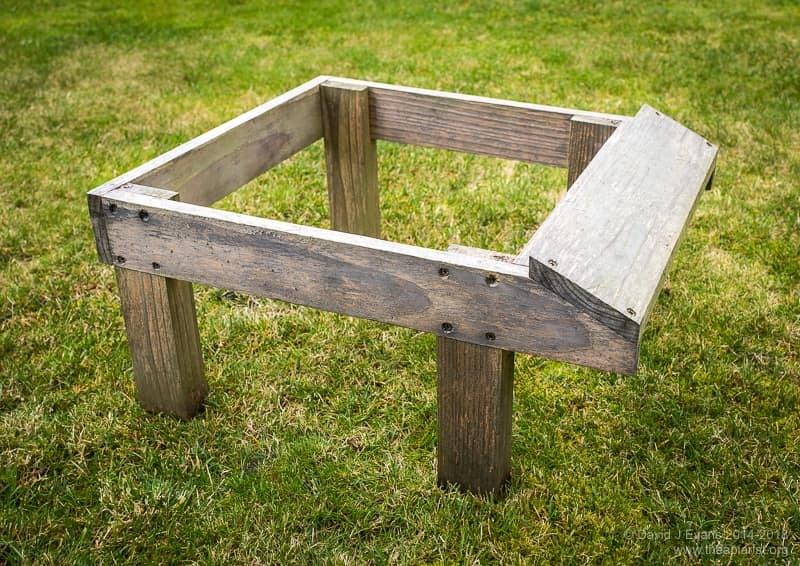 Or at least not a colony that’s of any practical use for the honey-gathering goal of beekeeping. 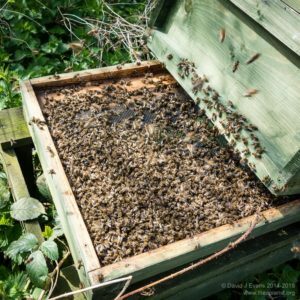 Ted Hooper (“Bees and honey“), and many others, have made the point that one big colony will gather more nectar than two smaller colonies. 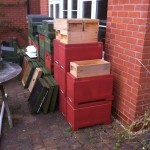 Secondly, these small colonies will chuck out loads of Varroa-riddled swarms. 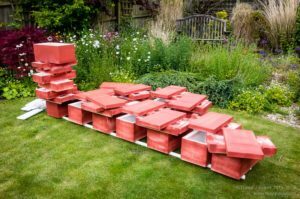 Seeley has previously demonstrated that swarming colonies lose ~35% of their Varroa load with the bees that leave the colony. Although this clearly benefits the original colony it potentially distributes Varroa-laden bees (and the smorgasbord of viral pathogens that are the real problem) to whichever local beekeeper finally hives them. 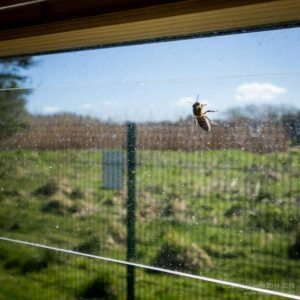 This explains the need for prompt Varroa treatment of any swarms you might acquire. On a more positive note this study clearly shows the benefit of a brood break in terms of restricting the replication and amplification of Varroa. Presumably this is primarily due to the 3+ week window with no sealed brood for Varroa to infest, though it may also mean that broodless colonies might get rid of Varroa at a faster rate with no brood present to distract them. 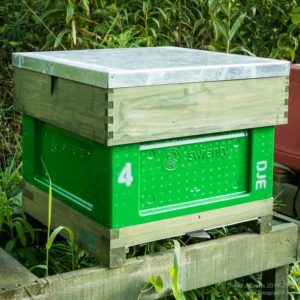 It would be interesting to have compared mite levels immediately after swarming and in the subsequent weeks until the new queen starts laying. Randy Oliver has also discussed the benefits of a brood break during empirical development (and computer modelling) of his beekeeping methods for Varroa control. In his forthright manner he explains “Take home message: early splitting knocks the snot out of mite levels“. 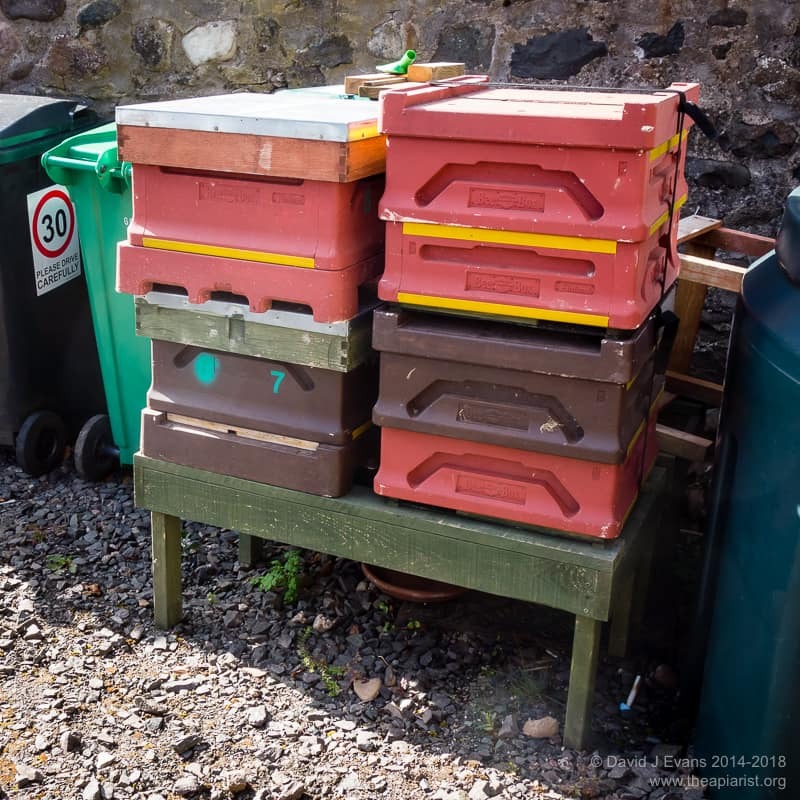 Why discuss this if they’re no use for beekeeping … ? 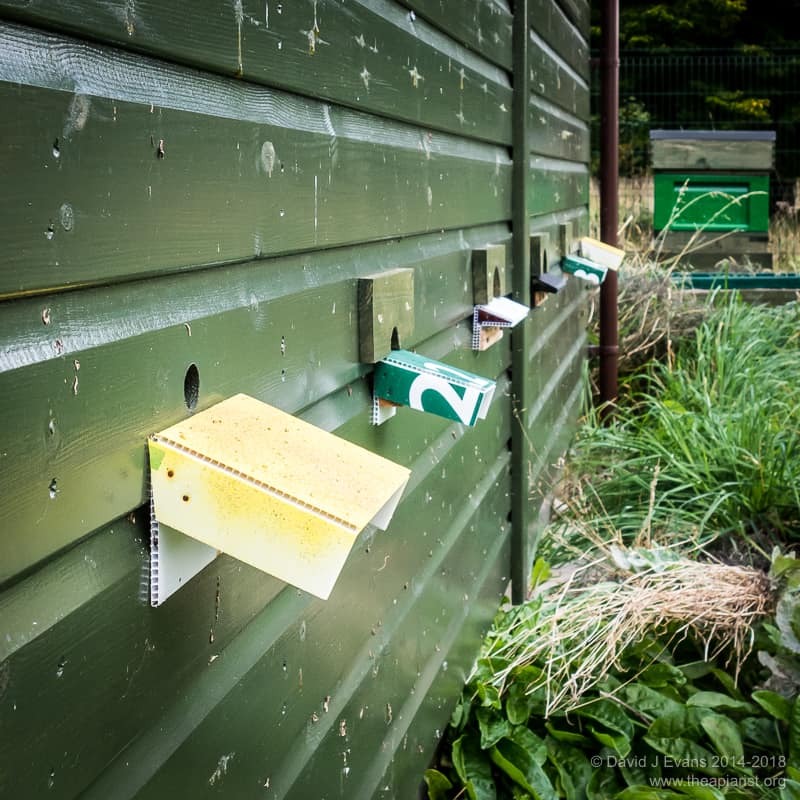 There was one exception to the generally low mite levels in the small hived colonies and that was late summer in the second year when they all exhibited a large spike in Varroa numbers. 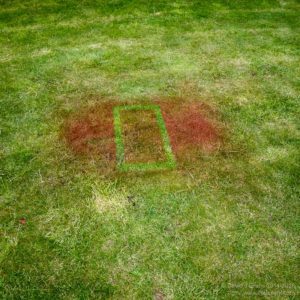 This was attributed to robbing-out a collapsing, and soon to die-off completely, large hived colony in the adjacent apiary. 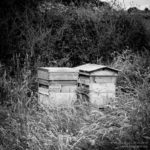 The two study apiaries were in the same field. 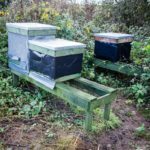 This emphasises the points made in earlier posts about the impact of drifting and robbing and the, at least theoretical benefits of, coordinated Varroa control. Of course, ~2 mites per 100 adult bees in the small hived colonies is not really a low number at all. 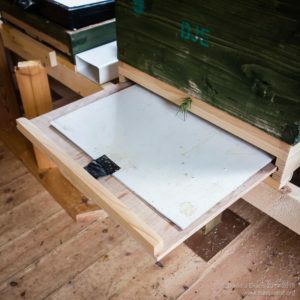 Assuming a colony size of 10,000 adults with 80% of the mites in capped cells the total Varroa load would be ~1000 in the colony, the threshold level above which the NBU consider treatment is required to avoid loss of the colony. 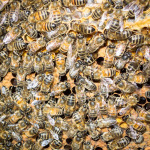 The Varroa loss achieved by swarming, coupled with the break in brood rearing, help the colony conquer – or more correctly tolerate – Varroa levels that otherwise rapidly increase and destroy a colony. 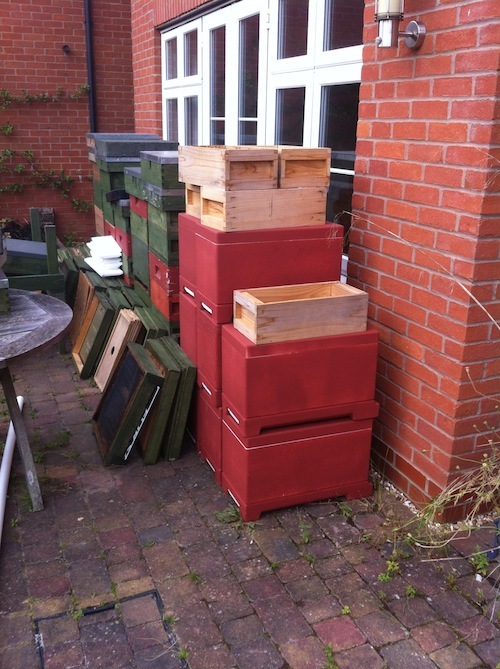 However, this is neither a practical or acceptable solution to the Varroa problem. ‘Beekeepers’ (an oxymoron surely?) that allow their colonies to swarm indiscriminately both reduce their chance of getting a good honey crop and impose their – potentially Varroa-ridden – swarms on the neighbourhood. This is irresponsible. 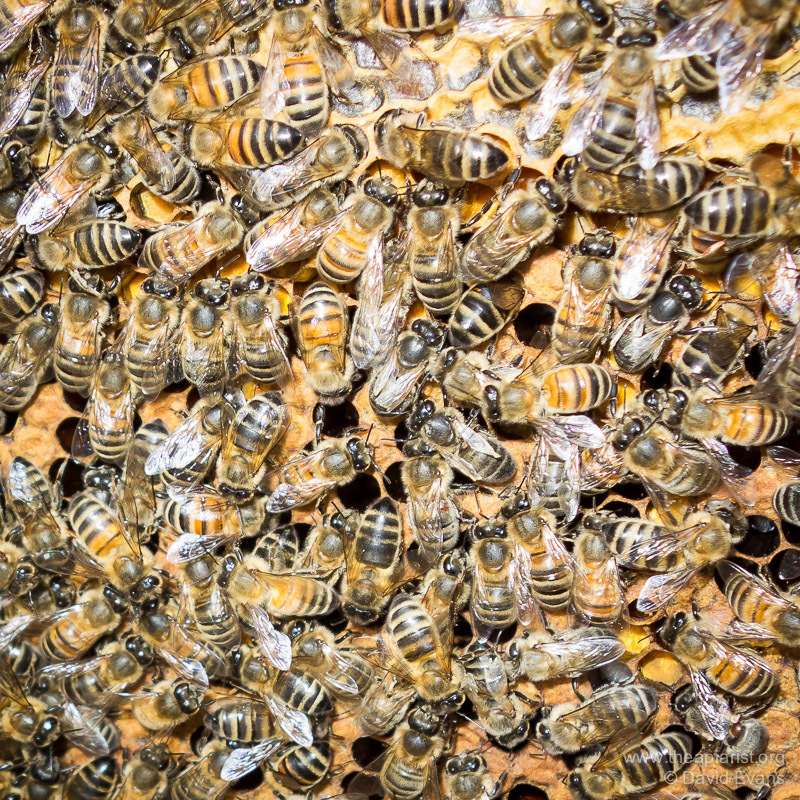 In contrast, beekeepers who carefully monitor their colonies and use an effective combination of integrated pest management – for example, including an enforced brood break during the ‘June gap’, or a vertical split, perhaps – benefit from large, healthy, honey-laden§ colonies which overwinter better. 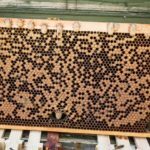 This entry was posted in Beekeeping, Swarms, Varroa and tagged DWV, hive, natural beekeeping isn't, swarms, Varroa on April 2, 2016 by David. 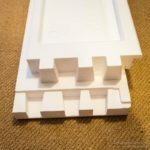 I use fluted polypropylene such as Correx or Corroplast for a variety of purposes – landing boards on Kewl floors, Varroa trays, fat dummies, temporary crownboards and – I fear in the future – as SHB traps. 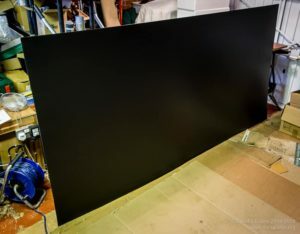 I usually scrounge abandoned ‘For Sale’ signs, advertising boards or political posters, but these are rarely larger that A2 in size. 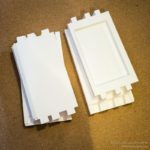 I recently bought (from eBay) five sheets of 1.2 x 2.4m 4mm Coroplast for about £12/sheet (delivered) for another project and built some roofs from a spare sheet. I can get 8 National roofs from a single sheet i.e. 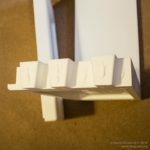 each folded from a 60x60cm square, making each cost about £1.50 (plus a few pence for tape or glue). 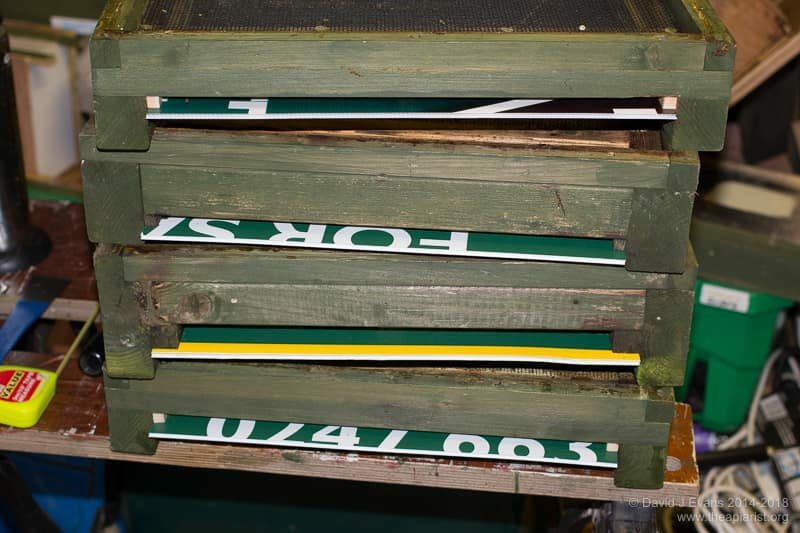 If these withstand the rigours of the 2014/15 winter I’ll post some simple construction details in due course (it turns out there are tricks to folding and gluing Correx … you’ll need a pizza cutter). 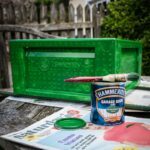 Correx roofs aren’t an original idea … Jon from the NIHBS, the acknowledged Correxmeister on the SBAi forums, has previously posted details of both roofs and nuc boxes built from election posters and yards of gaffer tape. 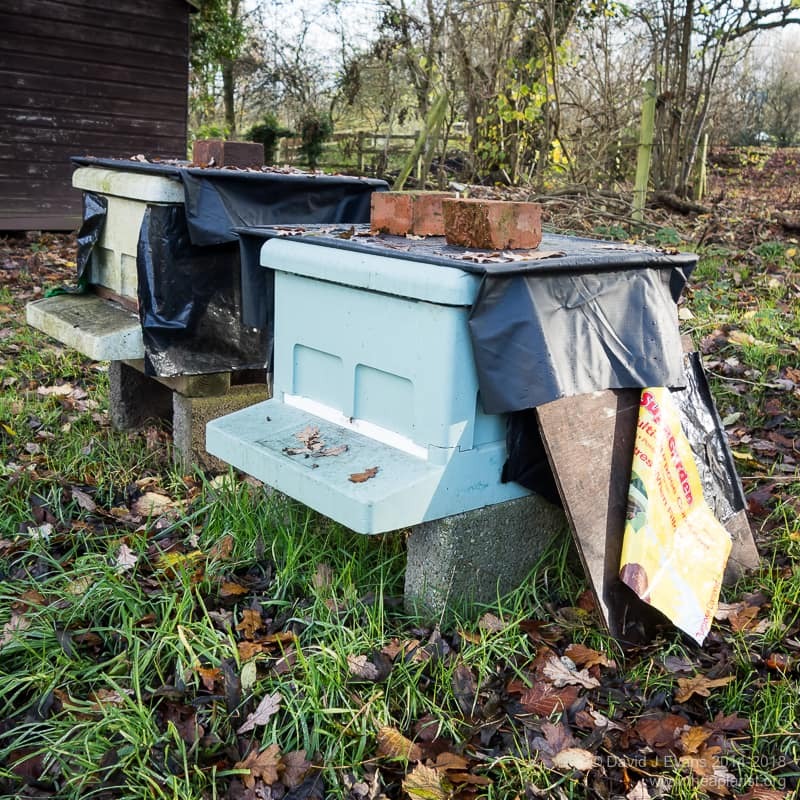 At the very least these lightweight roofs are likely to be very useful on bait hives which are both temporary and usually moved soon after being occupied. 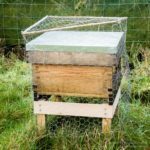 This entry was posted in Beekeeping, DIY, Roofs and tagged Correx, DIY, hive, roof on January 2, 2015 by David. In very cold weather green woodpeckers can cause damage to beehives when they try and get at the bees and brood. Until the temperate is below 0ºC for an extended period this usually isn’t an issue, but in a prolonged cold snap beehives can represent easy pickings for a hungry bird. I believe that this is learned behaviour and appears to vary in different areas. Around here they know that cedar, or even better poly, hives can be ransacked so these need to be protected during the winter. There are two easy ways to achieve this. One approach is to build a cage of chicken wire, supported on canes. 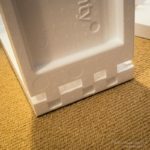 This can be lifted away reasonably easily and ensures the hive doesn’t get too damp. 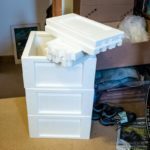 However, it’s more difficult to construct and takes up more storage space during the summer. 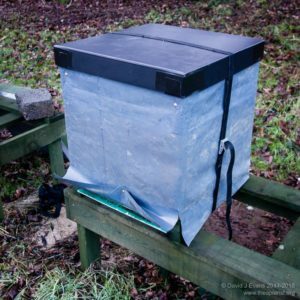 The alternative approach is to wrap the hive body in old plastic fertiliser or compost sacks. 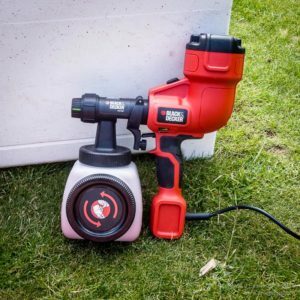 Damp proof membrane (DPM) is often available in skips and is even better as it it more robust and doesn’t get shredded in high winds. Using drawing pins I attach the DPM around the top of the brood box. Don’t fix it to the crownboard as you’ll probably have to lift this mid-winter to apply oxalic acid. 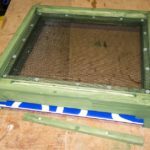 If the plastic is fixed to the brood box it can usually be left in place during oxalic acid treatment. 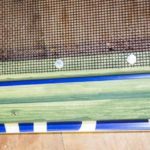 A single layer thick is sufficient … it presumably works by preventing the woodpecker perching on the side bars and breaking through. Whenever I’ve seen woodpecker damage it’s always to the sides of the brood box where the frame lugs are. 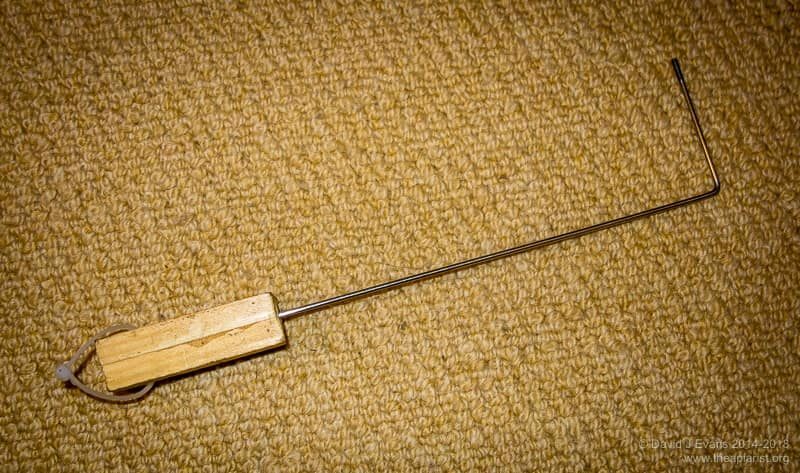 This entry was posted in Beekeeping, Woodpeckers and tagged hive, poly, winter, woodpecker on December 6, 2014 by David.